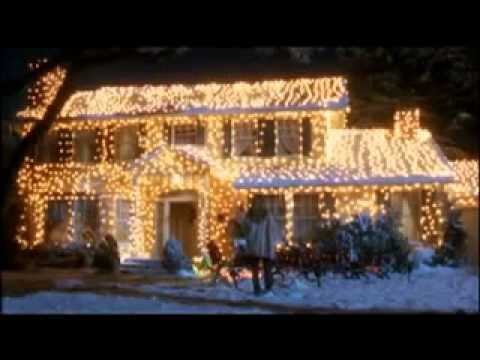 In National Lampoon’s “Christmas Vacation”, Clark famously went way overboard decorating his house. When the lights are turned on, we see the neighbors being blinded, and someone at the power company flips an “Auxiliary” switch as klaxons sound, indicating an emergency condition, necessitating the extra power. Edit: Originally, I based the number of strands on the common number of C7 bulbs per strand that you can buy today, which is 25 bulbs per strand. In the movie, Clark mentions that he used 250 strands of lights, meaning that each strand has 100 lights, so I’ve edited my first bullet point, accordingly. Further, I’ve seen some other websites that performed the calculation based on miniature lights – these are what we think of today as “normal” Christmas lights, that come in strands of 100, use a plug type connector, and consume about 1/2 watt per bulb. In the movie, you can clearly see that the bulbs in question are the much larger C7 or C9 incandescent bulbs – C7 is about 5 watts per bulb, while C9 is about 7 watts per bulb. I saw one website that performed the calculation using C9, but I’m sticking to my original guess that these are C7 – a very popular option at the time the movie was made. The numbers for C7 and C9 are very similar. Today, C7 lights are less common, and come in strands of 25. If he were decorating his house today, he might need 1,000 strands @ 25 lights each, rather than 250 strands @ 100 lights per strand. C7 lights each consume about 5 Watts of power, thus all of the bulbs, lit at once, would consume about 125,000 Watts, or 125 kiloWatts. At a nominal rate of 6 cents per kWh (killoWatt-hour), every 1000 Watts of power costs 6 cents to run for 1 hour. Clark’s lights would cost $7.50 per hour to run. Assuming he runs them for about 6 hours per night – from around dusk until around midnight – it would cost $45 per night to run them. If he leaves them up for two weeks, the total electrical cost would be around $630. At 110 volts and 125 kw, the current would be about 1,136 Amps. Most houses have a 200 Amp main, and most household circuits can handle only 15 Amps. Your clothes dryer and air conditioner might each require 30 Amps, running on a special circuit that can handle the extra power. Spaced 1 foot apart, the total length would be 25,000 feet, or 4.7 miles. That’s 4 miles, 3,880 feet of lights. Rolled in to a ball, it would be about 34 inches (just under 3 feet) in diameter, with an internal volume of about 12 cubic feet, and would weigh slightly less than 1,000 pounds. Pingback: How Outdoor Lighting Can Go Wrong | Augusta Green Sprinklers Inc.